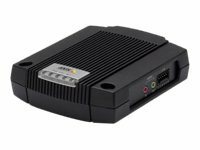 AXIS Q7401 offers the highly efficient H.264 video compression, which drastically reduces bandwidth and storage requirements without compromising image quality. Motion JPEG is also supported for increased flexibility. 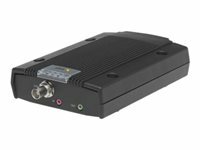 AXIS Q7401 can deliver multiple, individually configurable video streams simultaneously at full frame rate in all resolutions up to D1 (720 x 480 in NTSC, 720 x 576 in PAL). This means that several video streams can be configured with different compression formats, resolutions and frame rates for different needs. 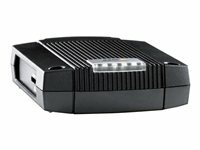 AXIS Q7401 can deliver multiple, individually configurable video streams simultaneously at full frame rate in all resolutions up to D1 (720 x 480 in NTSC, 720 x 576 in PAL). This means that several video streams can be configured with different compression formats, resolutions and frame rates for different needs.